Oh my. It has been too long since I posted last. 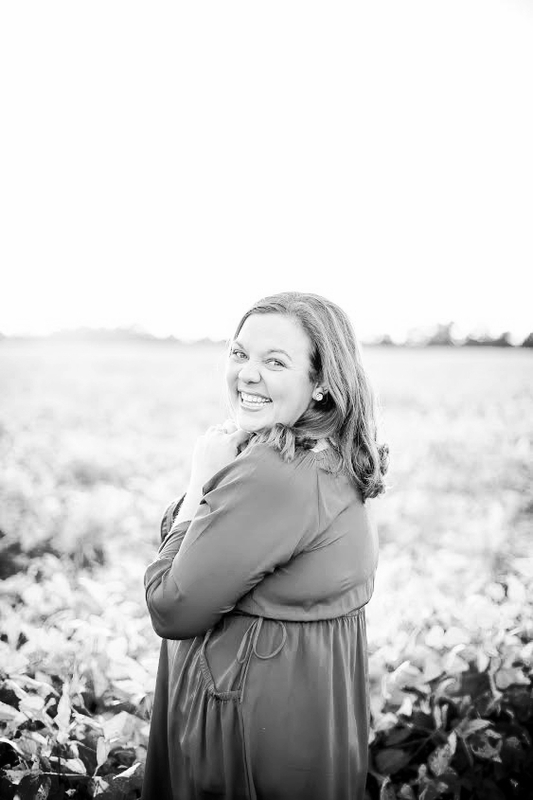 Now, I am embarking on my final semester of school and coming to the realization that blogging could quite possibly take a backseat to my semester. Hopefully not though!! First, I never updated about the book that I read during the month of July. I am sure you have heard lots of talk about this book and have probably heard the words, "wow", "challenging", "amazing", "so good", and "convicting." All true. 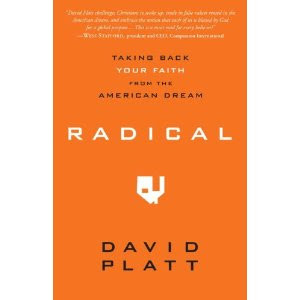 I read the book Radical by David Platt. It was truly one of the most challenging books I have ever read. David Platt is the pastor of The Church at Brook Hills in Birmingham, Alabama. He has taught all around the world and experienced so much from each place that he has been. This is so evident in his book. All I can say is that he basically talks about we, as believers, living our lives in a radical way. So often we...ahem...I, live my life on a day to day basis not being productive, not serving, or not loving the way that I should. I have found that my thinking is at times, "how does God and the gospel look and fit into my life" when it should be, "how does my life fit and look like Christ and the gospel." I would say that this is an unintentional way of thinking, but that would be me making an excuse. My life needs to be centered around the gospel and how I can better love others, serve others, and take the gospel to others. I can't even begin to pick just a few quotes from this book. All I can say is, if you are a follower of Christ, get this book, read it, and pass it on. At the end of the book David Platt gives you a challenge. It includes five things to do over the next year. 1.) Pray for the entire world. 2. )Read through the entire Word. 3.) Sacrifice your money for a specific purpose. 4.) Spend your time in another context. 5.) Commit your life to a multiplying community. You really should read it and hear David Platt explain things and hear the stories that he has of his visits to other places and also of people in his church. It will convict you but also encourage you at the same time. If I would recommend one book this would be it! Anyways, finally I was able to update you on that. As I said, I am starting student teaching tomorrow officially. I am not really overwhelmed about school as much as just knowing that my life is really changing tomorrow. I mean, this is basically my job (although I am not getting paid). This is what my life will look like for a while. I am excited and anxious. It is nice to be starting a new chapter. Please pray for me as I start tomorrow. Pray that I will be a light in a dark place and that my time with the Lord is consistent and that I am constantly reminded that He is my strength! Hope you all had a fun weekend! South folks, good luck with classes tomorrow!